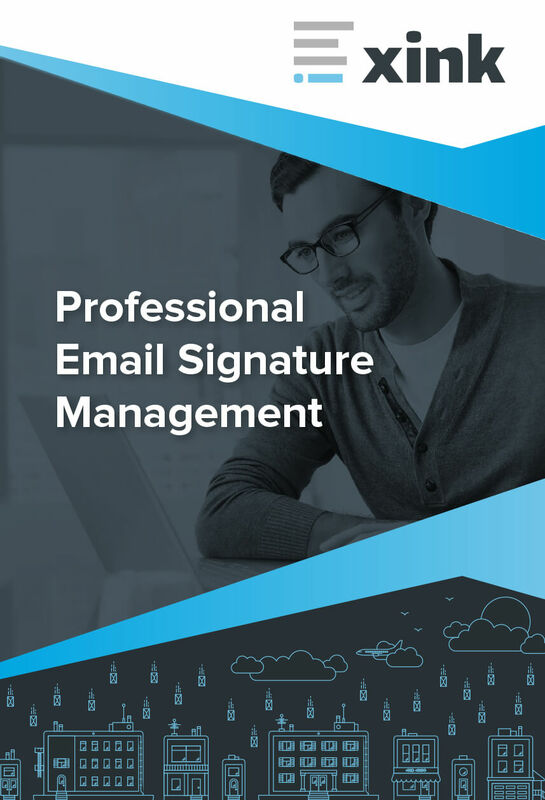 Xink provides an advanced platform to centrally manage corporate email signatures in Office 365, G Suite and Apple Mail, including marketing campaigns in email signatures. "No manual updates anymore "
In my previous company every time the email signature needed to be changed, I had to send out an email to every employee and every employee had to update their email signature manually. Not only is that very time consuming but also leaves a lot of room for human errors (as in campaigns still in signatures whereas it is not valid anymore or people copying my contact details into their signatures). Now I do it all on one platform and it automatically changes all the signatures. The dashboard is really good, but would be great to get more features in there such as comparing the inactive campaigns with the current ones, which I now do in the campaign area. Saves a lot of time when you don't have to update signatures manually anymore. It reduces human errors significantly and I can personalise the email signatures with pictures. Main benefits: It is time saving and it reduces human errors. No manual updates anymore, everything on just 1 platform. Other benefits are that I can easily see the clicks per campaign and per employee. The next step I now want to do is to personalise the email signatures with the pictures of the individual employees, which would be a nightmare without a platform like Xink. Extremely easy to use and deploy. Simple management for multiple signatures, allowing different templates for different users in different countries/departments. Works will with Outlook Web App (Office365) for users that do not have Outlook client installed. Good product support when required. When using a local Outlook client the Xink signatures becomes the default for all mailboxes in use within Outlook and will re-configure this on each sync if the user manually changes it. For example can be problematic when Outlook has both business and personal accounts in use. Before we had Xink it was difficult to have HTML and image-rich signatures for Office 365 users. We have been a user of Xink for nearly 5 years now and have not looked back since. Xink solved this issue with ease and allows us to have different signatures and signature campaigns for different sites around the world, managed all from a web console. Hi Ellis! Thank you for your review. We're so happy you like Xink! "Of all our vendors - XINK is by far my favorite. " Xink is simple. Xink is affordable. Xink is my favorite program we use. We were able to set up everything in-house. The customer service is excellent and I just can't say enough. They were there with us the entire step of the way. If we ever encounter an issue or something we can't figure out on our end, they are always there willing to help, and quickly. We have total control of all signatures and marketing throughout all of our office. It allows us to implement a consistent and synergetic message across all our platforms. We have used Xink for four or five years now and it is just a great product. I can't say enough. Xink is by far my favorite vendor. Once set up, everything is pretty much plug and play. There isn't anything I dislike. Its a simple and effective tool that works great for us. Its worth every penny. I highly recommend it. Please, feel free to call me and ask me your questions. I have not had any issue with firewalls and its been extremely reliable. It's a simple program that we are able to deploy to all of our offices. No matter where our employees are, they now all have a consistent signature. "Works Seamlessly and is very easy to administer"
I have been a user of Xink for 3+ years now. I absolutely love that I can manage the signatures from one portal. I love being able to send a link to the employee where they follow simple instructions to get it setup and going on their own. Absolutely the best signature management I've used and we tried out 3 or 4 before we picked Xink. We use Office 365 and Outlook as well as Outlook online for some users and the signatures are seamless across the two platforms. Mac or Windows makes no difference. I would highly recommend Xink. I only wish there was an app for iOS that would sync and copy to the iPhone's signatures or sync with the Outlook app would be great too. I have Outside salesmen that live on their phones, it would be great if the signatures were squared away on those as well. However, having the app/phone sync is certainly not a deal breaker, I really have no complaints about the product. I really can't say enough how easy Xink is to use and deploy. You will love it. We use the service to standardize our signatures across the company. We recently had a branding change for half of our users and it was a quick edit to make everyone the same. We have a yearly event that we advertise in our signatures and the Campaign feature is great for that. Thank you for your review! We're so happy that you like Xink! I hope this was helpful, or please reach out! We're here to help. We absolutely love that Xink integrates with our CRM system (Salesforce), marketing system (Campaign Monitor) and service system (Zendesk) - The advanced API means that we can manage email signatures all from one single place and ensure every email we send is on brand and pushing key campaign messages. The platform is really intuitive and easy to use and the onboarding was great. I'd recommend them to anyone looking for a centralised email signature platform. I've not found anything not to like, to be honest - If we have had any technical issues then the support team (via Live Chat) have been a joy to deal with and have quickly solved any issues for us. Have a marketing plan to make full use of the advanced campaign functionality so you can segment your employee data and make every email super relevant. We wanted to ensure our emails were all on brand and to boost website traffic and inbound leads through marketing campaigns. I love the fact that Xinx provides me with a flexible solution to apply different custom signatures for my company. We have been able to go from fully server side signatures to client based, and back. This is imperative for my ever growing company. Honestly, nothing. Your support has made the implementation of Xink very easy! This is a great solution, and I believe is easier to implement compared to some of their competitors. Having a fully server side option made this an easy choice for my company. We went through the combination of 3 companies into one, and went through a name change. This allowed us to streamline a "standard" corporate signature which could be modified as we went through the different phases of our company's evolution. The functionality is great and the tool is very easy to use. I've used it across two different companies - one time as a purchaser/administrator and one time as a user. From the user perspective, it is absolutely seamless - there is no need to do anything, the signature information just automatically populates for you. Very easy to manage as an admin as well. Maintaining multilingual signatures is a bit tricky since fields like title, phone, etc. can only be populated once. 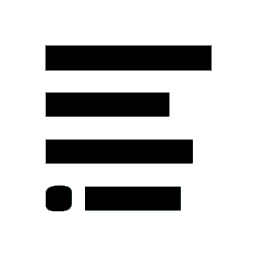 So in order to create multilingual signatures we had to create some one-off signatures for certain users with fields like title or phone or any other fields that differed from their default/English fields hardcoded in. A must for teams striving to keep external communications and branding consistent. Before Xink, certain team members got quite creative with signatures, adding their own images, updating fonts, shrinking logo to the point of it being unrecognizable, etc. Xink allowed us keep signatures consistent and stay in brand. Also, adding photos to signatures for the sales team improved response rates by 20%. Hi Arpine! Thank you for your review and insight both as an administrator and as a user. We really appreciate it. Regarding your comment on multilingual signatures, we agree that this can be a bit tricky! We suggest to use the dynamic statements - CASE and IFNULL statements are often used because you can change text based on certain labels/fields. I hope this was helpful. Please email or ping us if you need assistance. "We demoed multiple email signature automation tools - save time and just go with Xink!" After demoing several different email signature automation tools - we chose Xink (the services the offered were great for the right price). We LOVE how easy it is to use and how it seamlessly gives us control of over 1400 users' email signatures in gSuite. We can also enable campaigns in everyone's email signatures with a few clicks of the mouse. No more giving people directions on what to put in their email signature, and then only seeing about 25% of users implement those instructions. We have only been using the tool for about 3 months, but implementation was quick and easy as well! Getting the spacing correct in the actual email signature design was a challenge. Luckily we had an HTML expert on hand within the company to fix the problem for us and now it's perfect. Xink provides some help with the design of the email signature, but it's best if you have someone design it for you and help with the HTML. Skip demoing all the other products (we did already) - go with Xink! We are solving the problem of having everyone's signatures across the company match the branding. We were seeing signatures with quotes in cursive fonts with every color of the rainbow. We used to have to send out an email with a campaign banner and ask them to insert it into their email signature - and again - only about 25% would actually do it. The email signature is very valuable real estate and we are happy to finally be able to use it to promote and advertise! Hi! Thank you for your review. It's great to hear that you like Xink! Regarding your comment on vertical spacing: We agree this can be tricky. Horizontal spacing is managed using tables. HTML skills are not required as you can use the built-in designer where no HTML skills are required. Our design team will assist if required. Just ping us if you need help moving forward. I hope this was helpful, or please get in touch. We're here to help! "My need for an Email Signature management tool"
You can manage all users and their signatures from a single dashboard. It is compatible with both Outlook and Mail. You can setup multiple signatures with HTML editing option. It lets you assign your users to different signatures depending on the department or role they are in. Xink lets you store multiple logos and resize them if needed. If a user's role changes, you can update it on the dashboard and the changes will be automatically apply on their mail client. Without Xink, we would need to use a server and a very complicated approach for such a simple task. There are not many other solutions out there that would support both Mac and Windows users. The signatures also appear well on mobile devices regardless of the mail client that is used. Insufficient documentation for clients once they receive an email to activate their signature. I had to go to their computers and perform addition tasks for the first time setup (Mac users only). The main dashboard can also be further optimized for better user experience. I also found it a little challenging to import the signature on the webmail. We were using Office 365 and I never learned how to setup signatures on the Office portal. If you are considering a reasonably priced solution to manage your company's email signatures, Xink is definitely the right tool. We used Xink in order to facilitate the rebranding initiatives at our company. Hi Amir! Thank you for your review of Xink. Hope this was helpful, or please get in touch! We're here to help. "Good experience with some early technical issues notwithstanding"
We really utilize the customizability of the signatures especially being able to use some logic to either show or hide optional fields. Once configured, the administrative interface is fairly easy to navigate. Initial setup of the synchronization with Active Directory was bumpy, and the fact that support is not in our time zone was frustrating as it took a while to resolve the issues. Create a test group that includes not only the implementation team but also "real" users. for any organization, it is very important to test before deploying, and Xink is no exception. We are not currently using banners but the Marketing department does have plans to do so. We do allow staff to enter custom links for social media and we also allow links for our video conferencing platform and our secure file upload site. Hi! Thank you for your review! We're sorry to learn about your experience with the initial setup and support issues. We have recently expanded our support team and we now offer support in all time zones. In addition, we offer free remote sessions so we can help you with any issue. Just ping us and we’d be happy to provide a quick “service check” if you like. Good luck with the marketing banners too! Let us know if you need any assistance. The ability from a single console to construct HTML signatures for a wide-range of roles all managed using tags or fields. Xink allows us to manage signatures centrally regardless of device. It can handle cloud and on-premise mail clients of many sorts. We have not yet found a scenario this will not support. Hi Chris! Thank you for your review! The integrations with Office update within one hour. Please contact us at support@xink.io for specific inquiries for faster synchronizations. "Flexible but still simple to configure"
Great interface for configuration. Signature works nice across multiple platforms and clients. Very flexible and easy to configure. All mail get cooperate signatures applied and right ones for different groups. Users are happy to be able to switch between som preconfigured signatures. The mobile tag is used only during the initial test before you launch for all users. You can book a free training/remote session when you log in and we can assist you with any issue. "Xink saves time and money"
I really like the support and the ease of the software. Our company has over 65 employees in 4 four locations. I cane add new employees, make change titles and phone numbers in a matter of minutes. What a time saver! Sometime support is longer than I like. But always within 24 hours. I don't need to hire an employee to do this. This can be taken care of by a administrative assistant or added to HR's to do list. "Xink was everything I was hoping for and more"
Non-standardized email signatures. The ability to have different signatures for our different businesses, as well as the ease of setting up a campaign. Support for Global campaigns is not sophisticated. Hard to see analytics region wise. Creating an integrated brand experience as well as measuring marketing channels on sales outbounds. * We monitor all Xink reviews to prevent fraudulent reviews and keep review quality high. We do not post reviews by company employees or direct competitors. Validated reviews require the user to submit a screenshot of the product containing their user ID, in order to verify a user is an actual user of the product. Hi there! Are you looking to implement a solution like Xink?